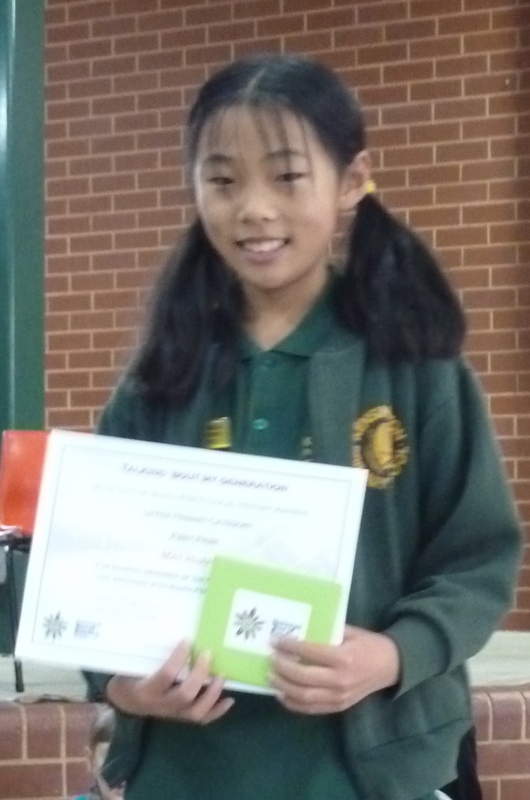 Last Wednesday, South Perth Library staff visited Kensington Primary School to present First Place and Highly Commended awards to students who were successful in the 2012 City of South Perth Local History Awards ‘Talking ’bout my generation’. Well done to all of the Kensington Primary School students who entered the award. You have played a very important role in capturing South Perth’s history! Local History have begun presenting prizes to the fantastic category winners of the 2012 City of South Perth Local History Awards ‘Talking ’bout my generation’. Norma Moran received her prize as winner of the Adult Category this morning and lots of memories were shared of the 80 odd years that Norma has resided in South Perth. Library staff are off to Aquinas College on Thursday morning to make another exciting announcement about the awards. Watch this space! Have you started to write your family history or have you recorded your life story? Do aspects of your history relate to the South Perth area? If so, Local History would love to hear from you! 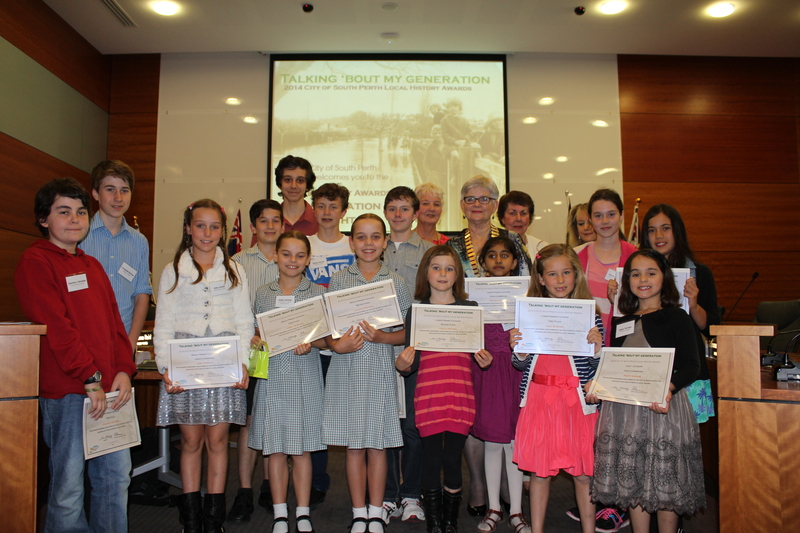 Judging of the 2012 City of South Perth Local History Awards ‘Talking ’bout my generation’ is now complete! The judges were thoroughly impressed with the many different ways that entrants interpreted South Perth’s ‘local history’. The Local History Collection now has a fantastic snapshot of what life was and is like for residents and visitors to our City in 2012. Local History staff have contacted all of the prize recipients and a full list of prize winners will be released once staff have visited those schools with prize-winning students. Watch the blog in the coming weeks for this announcement and to read the winning entries!…And if you are disappointed that you didn’t get to enter, there is always 2013!